This matte varnish, based on acrylic resins, contains silica for iridescent effects. It is reversible, provided that the painting has fully dried before varnishing. 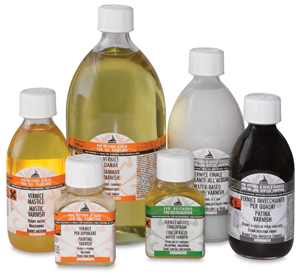 It can be mixed with the gloss varnish to produce a range of effects. Do not apply a matte varnish to absorbent surfaces, to areas where the paint film has oiled out, unless they have previously been treated with insulating varnish.